You must have a Flash Player enabled internet browser, such as the desktop versions of Firefox, Google Chrome or Safari, in order to watch and interact with this old piece. 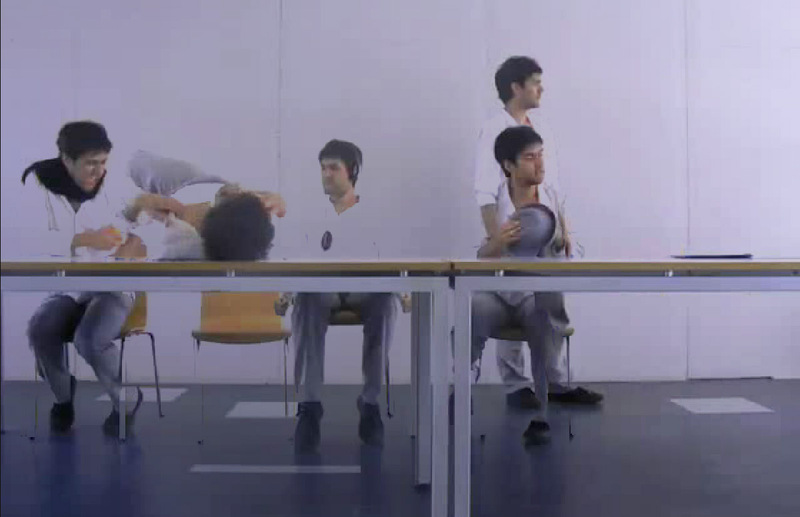 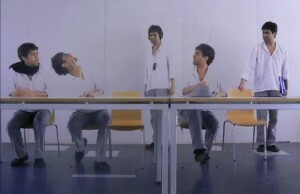 “LaUltima (es:cena)” is an algorithmic videographic work. 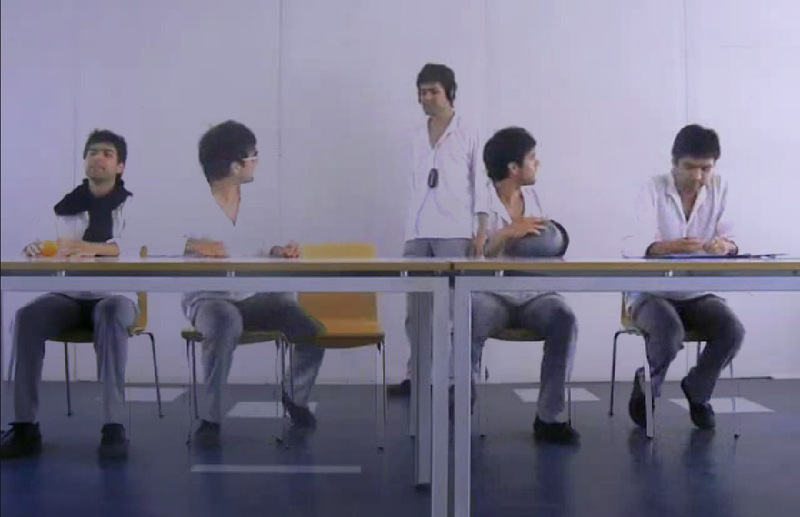 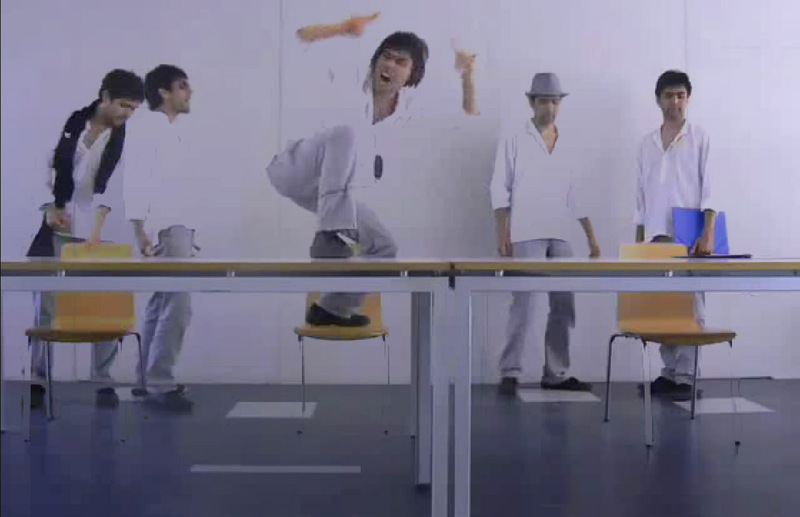 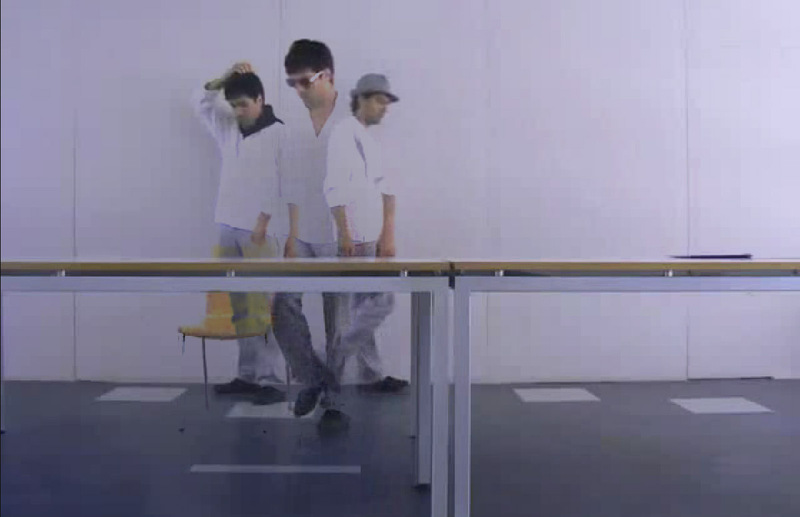 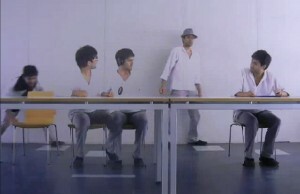 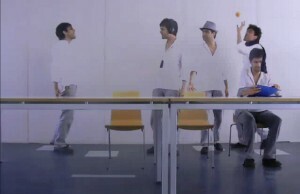 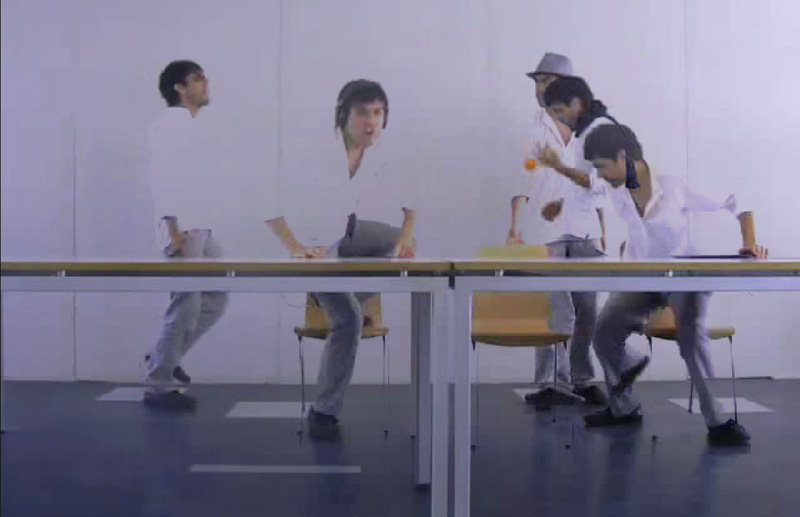 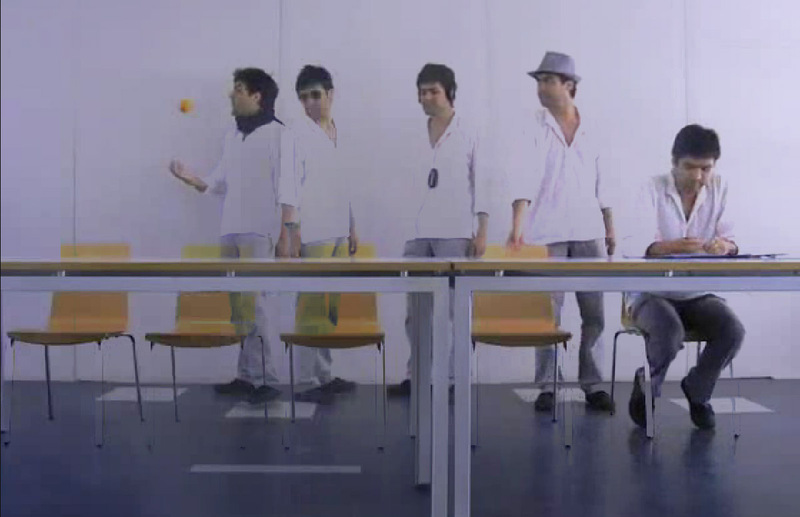 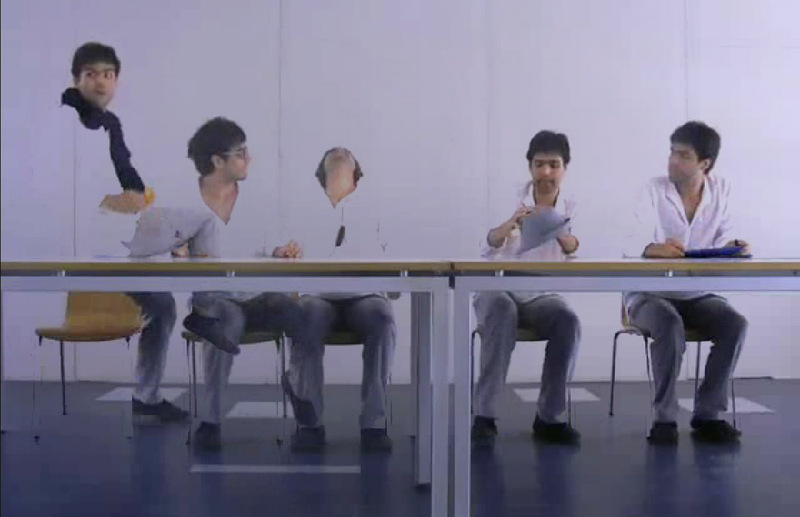 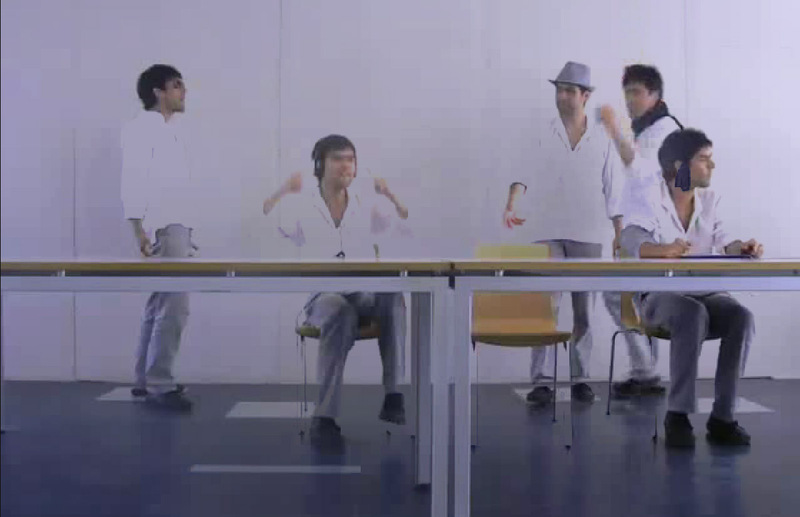 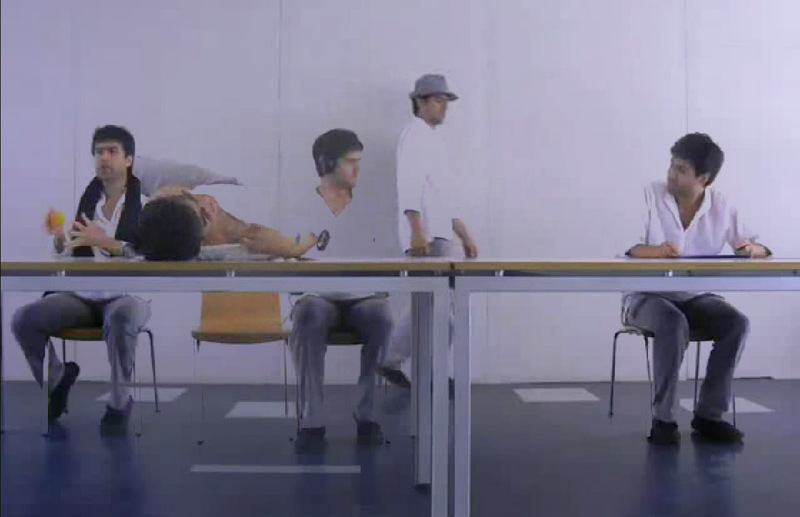 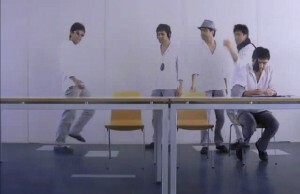 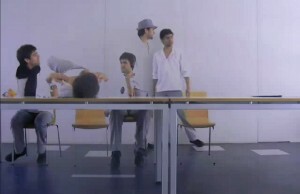 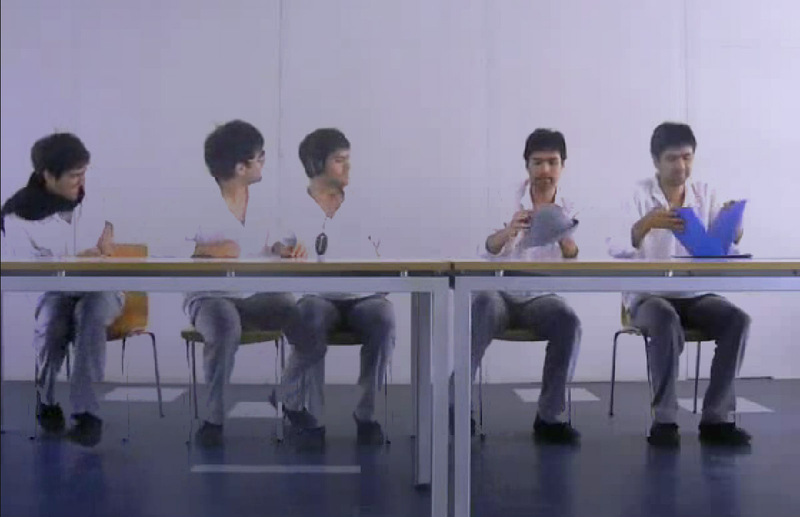 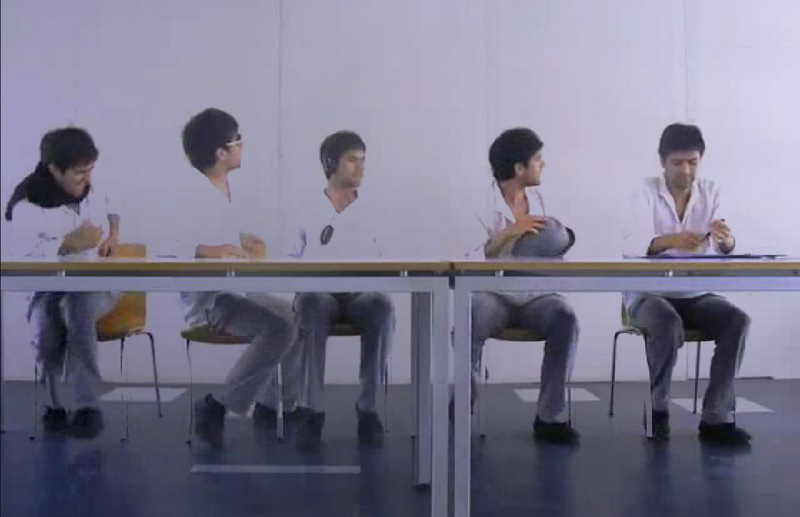 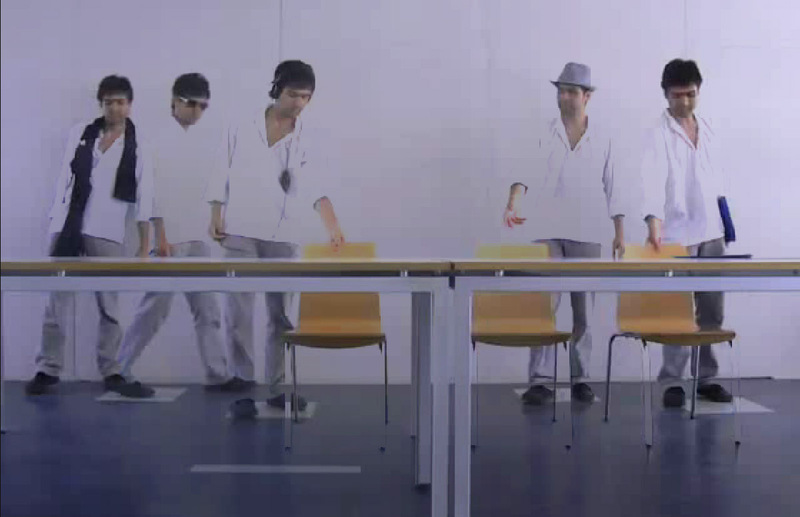 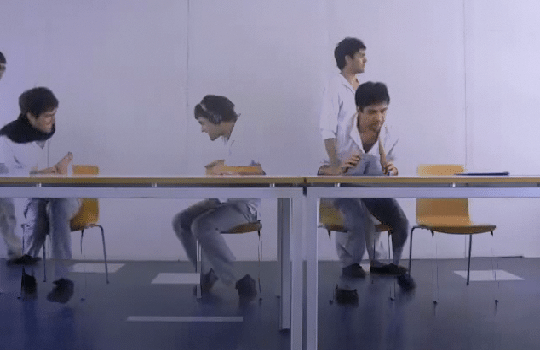 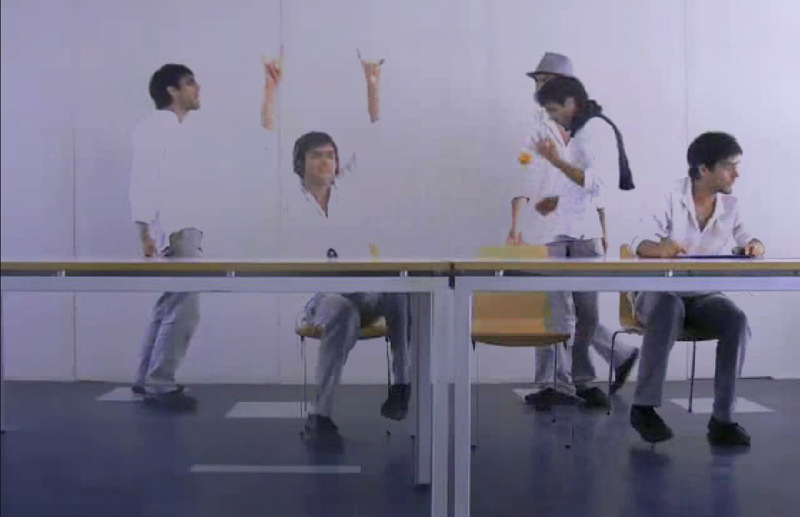 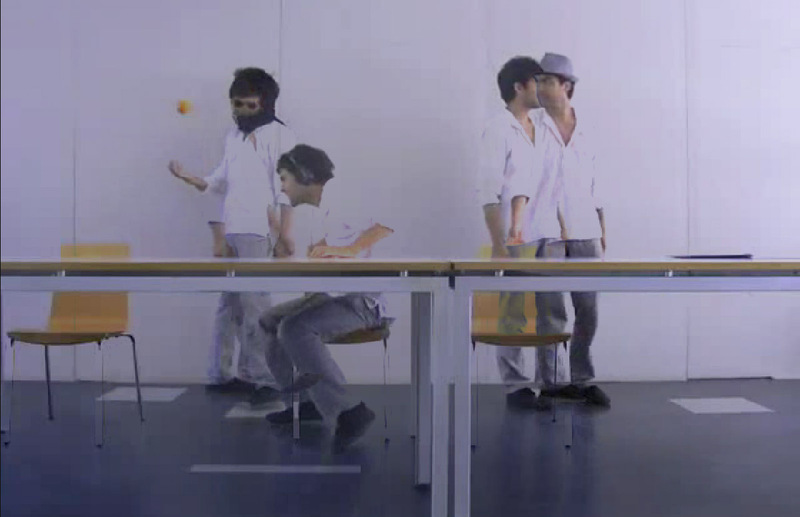 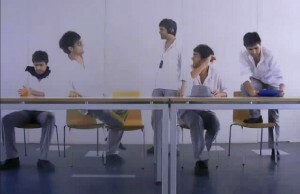 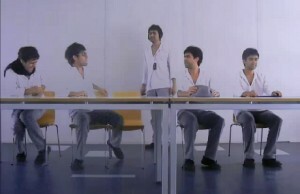 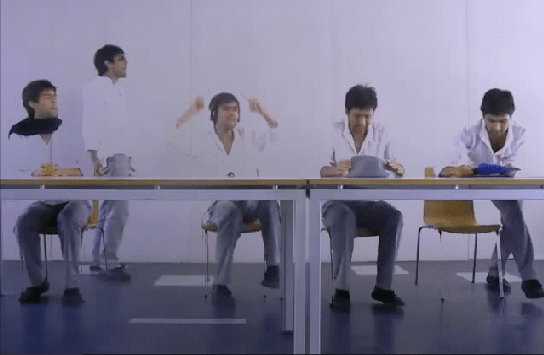 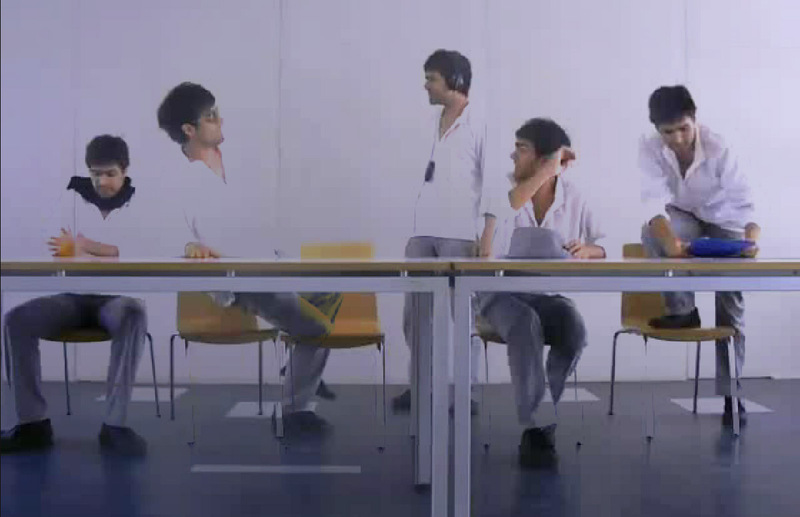 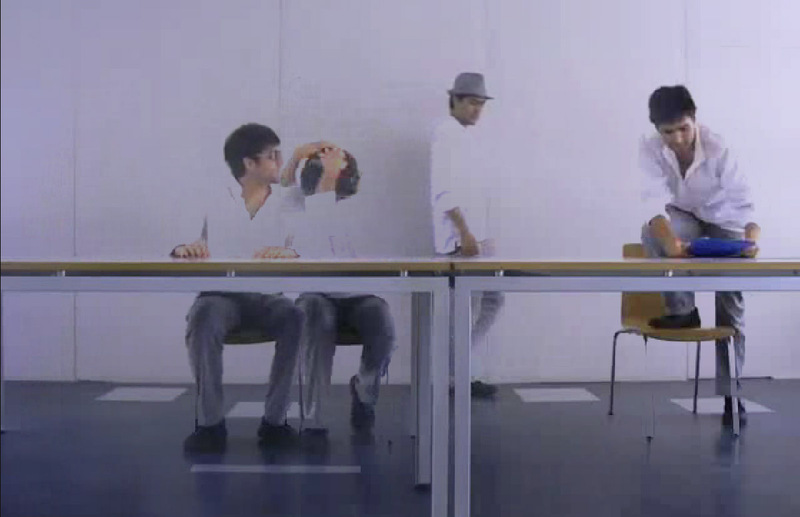 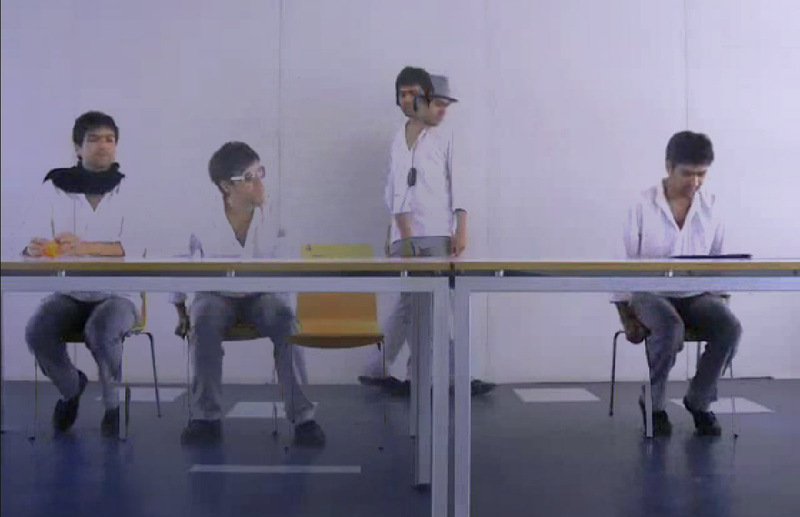 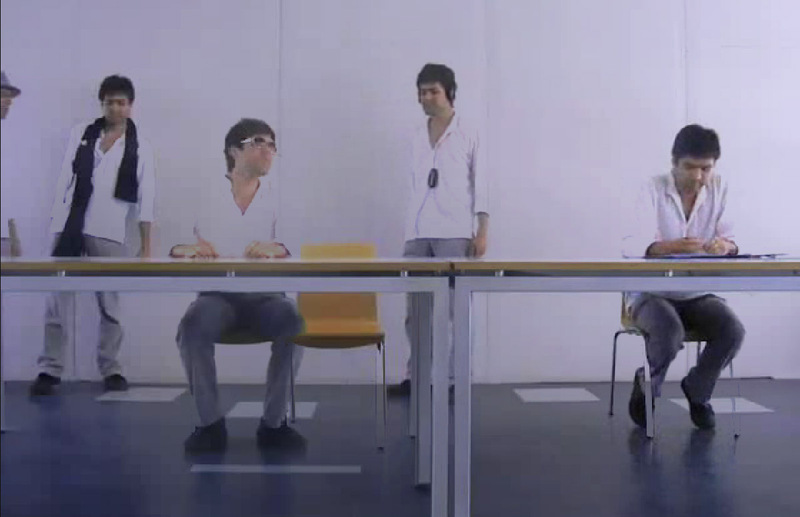 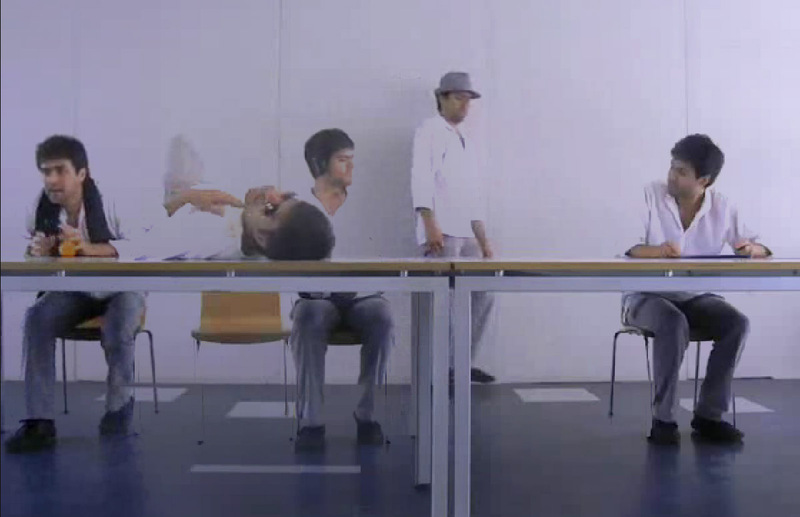 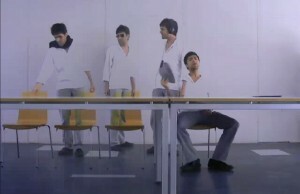 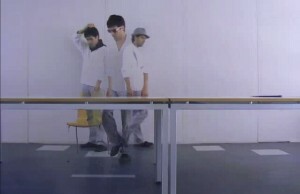 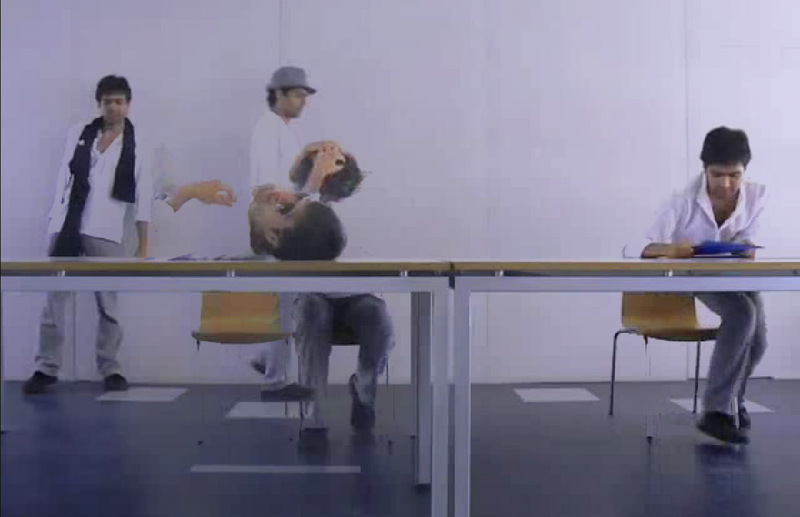 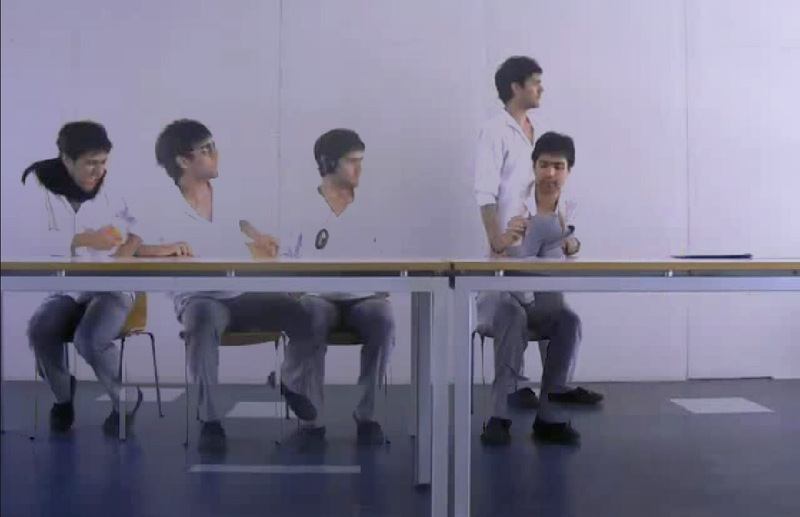 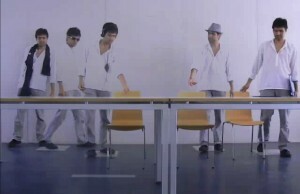 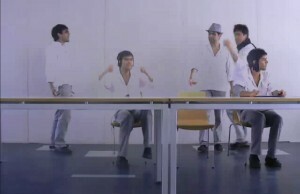 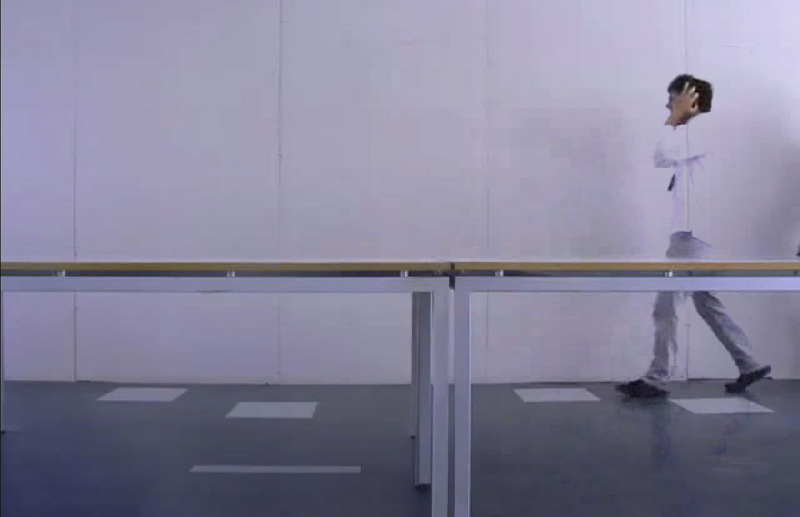 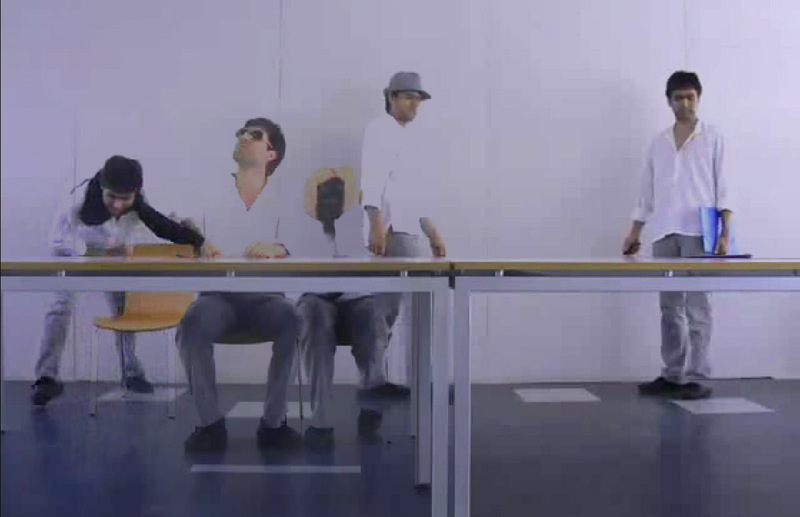 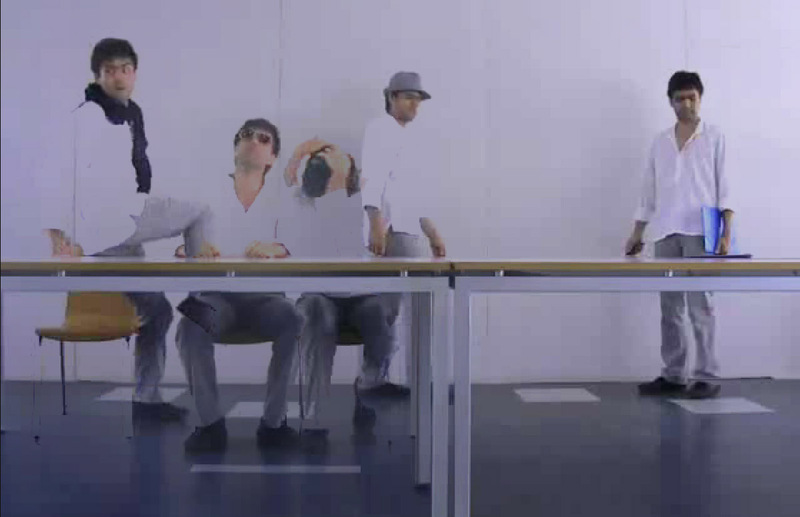 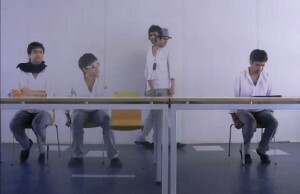 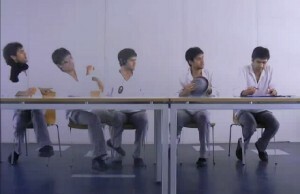 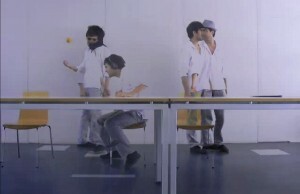 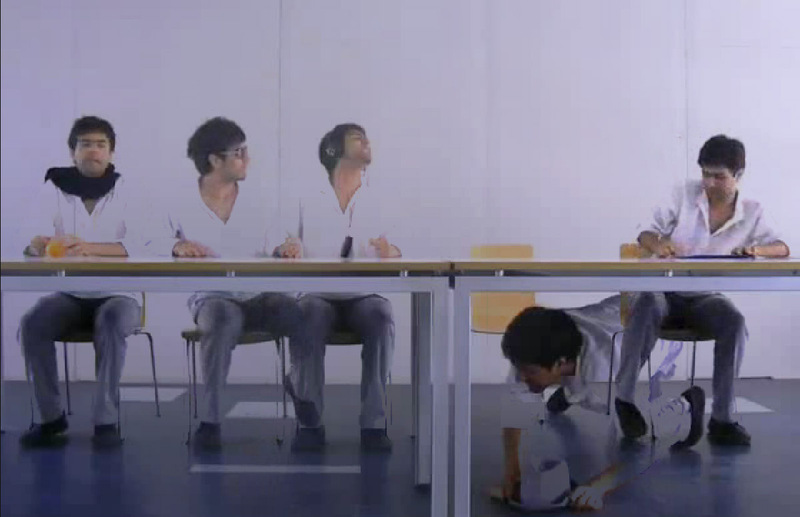 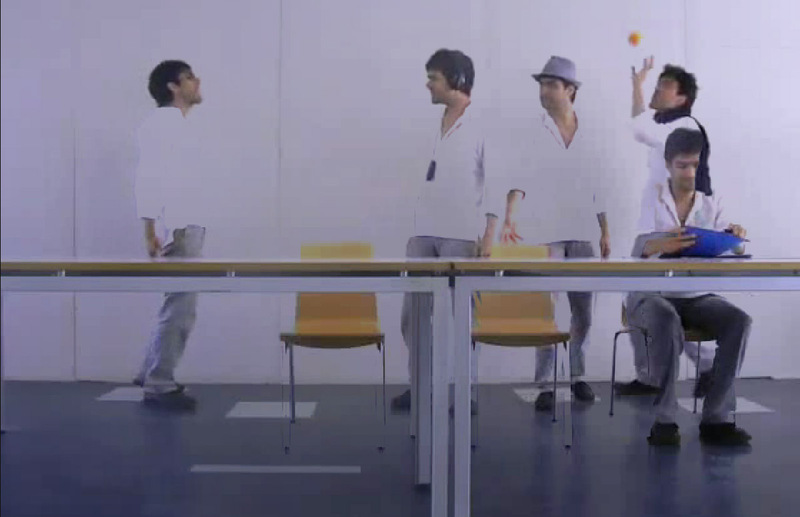 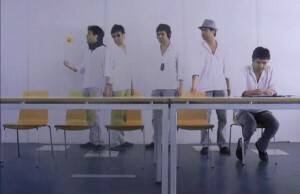 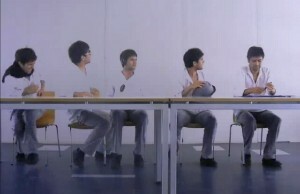 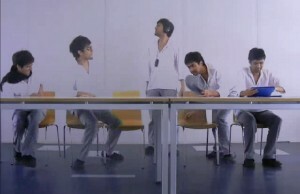 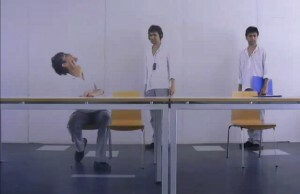 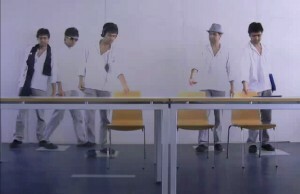 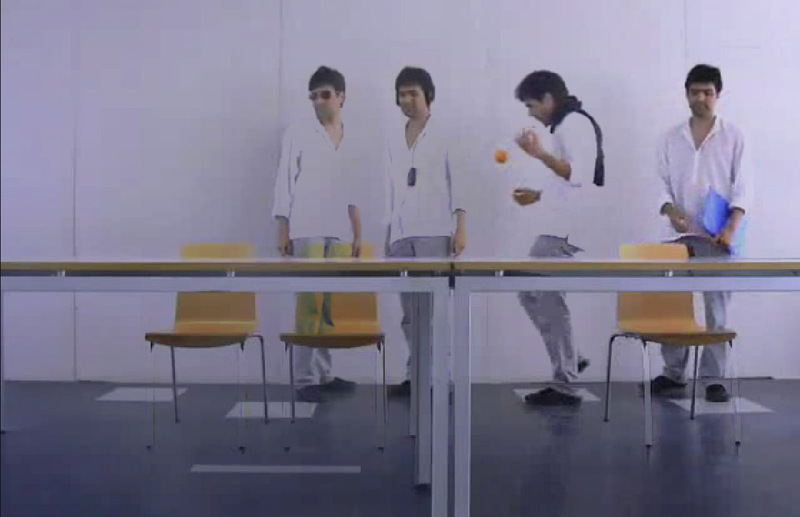 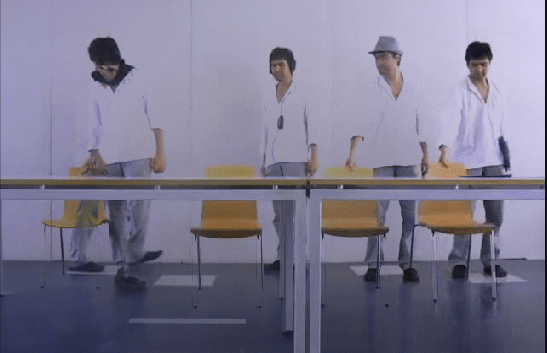 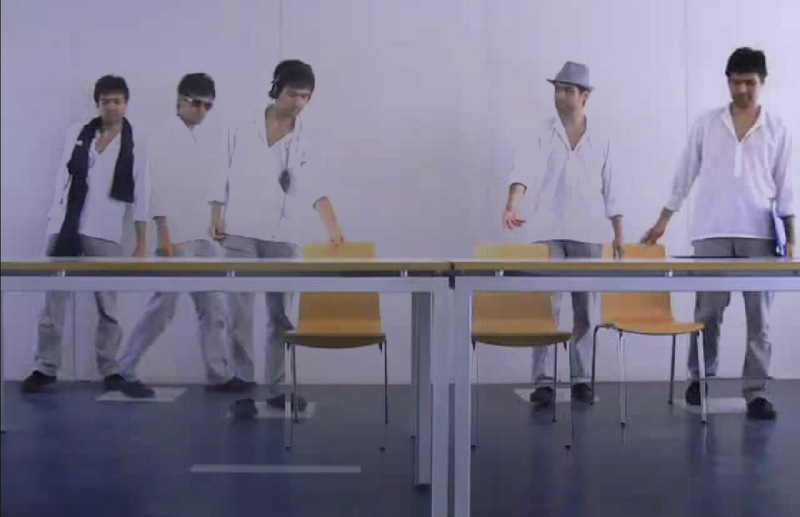 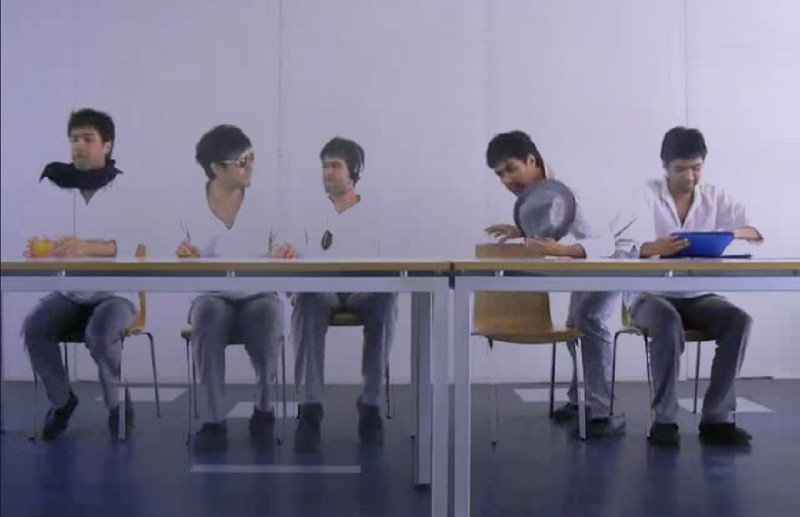 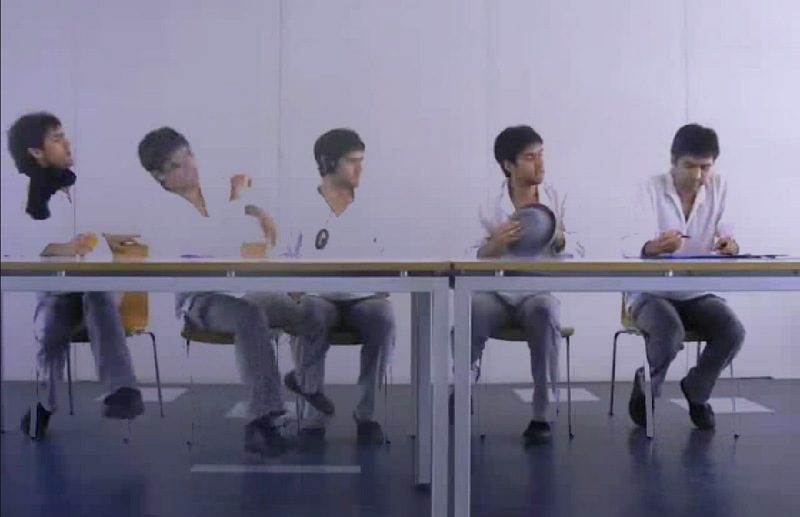 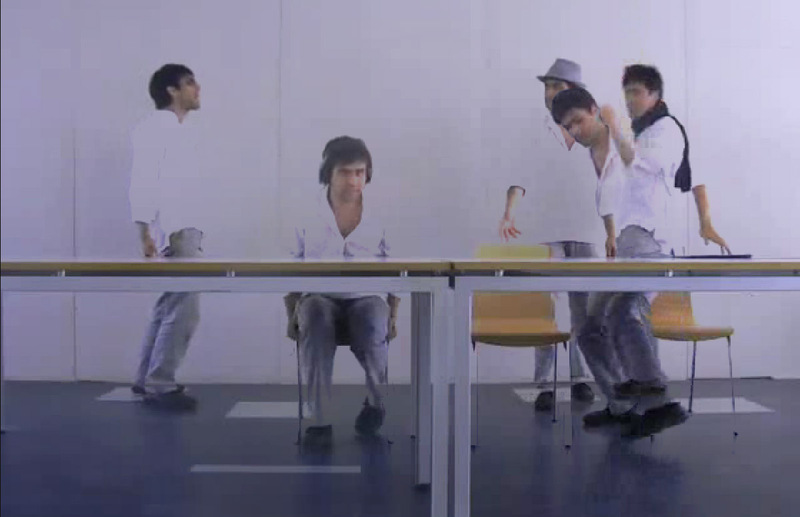 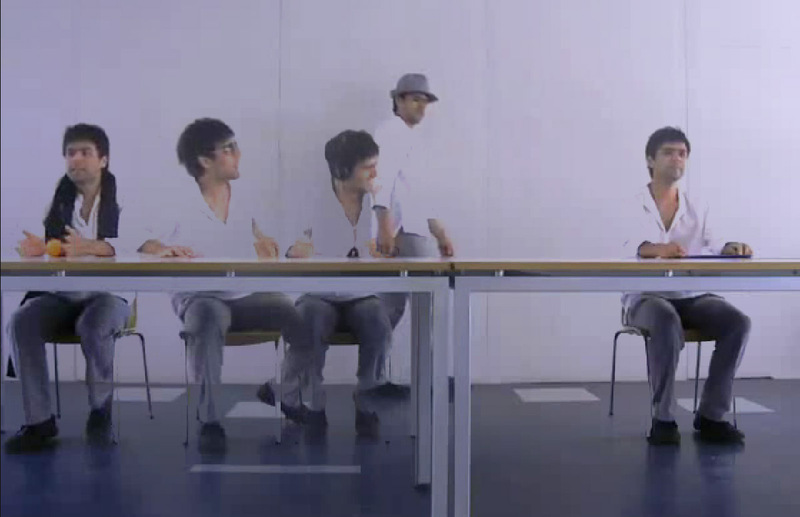 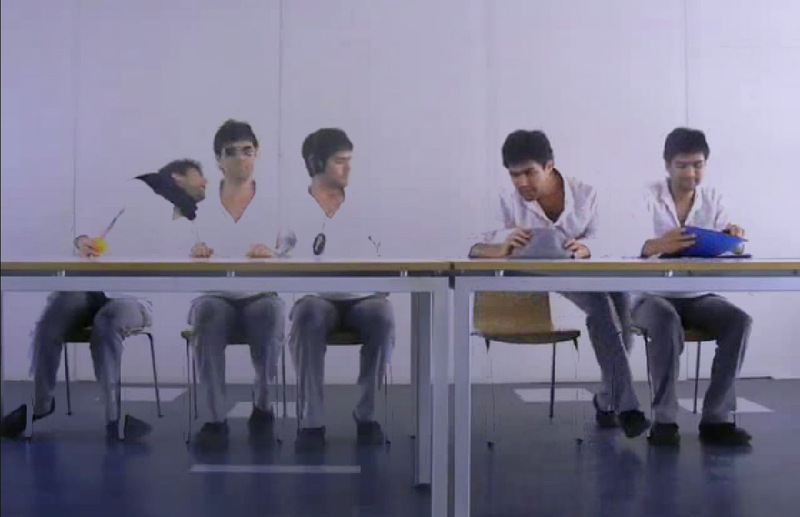 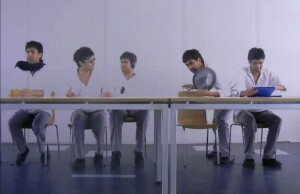 5 characters, each with its own timeline, make a series of asynchronous actions throughout the video.The narrative depends on the song you choose. 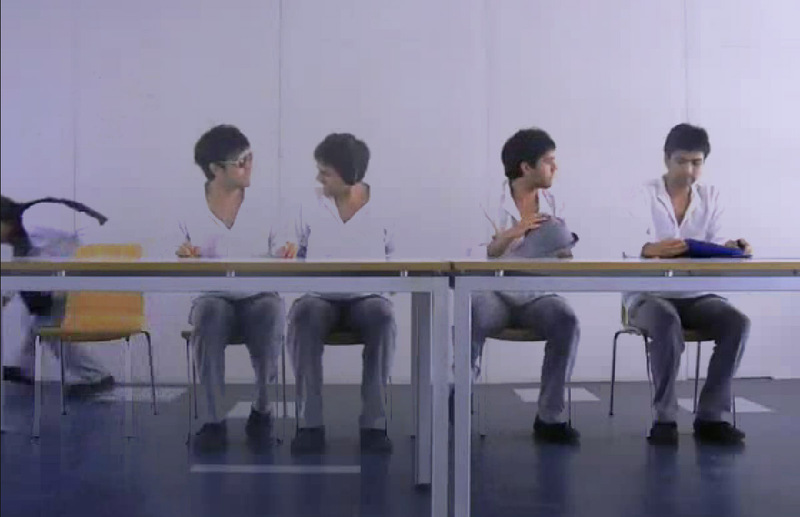 The audio frequencies are the engines that make each character react. 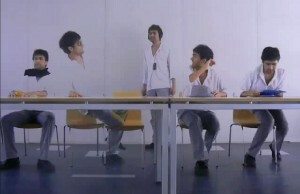 With a fast and aggressive song, narrative will be unstable and nervous. 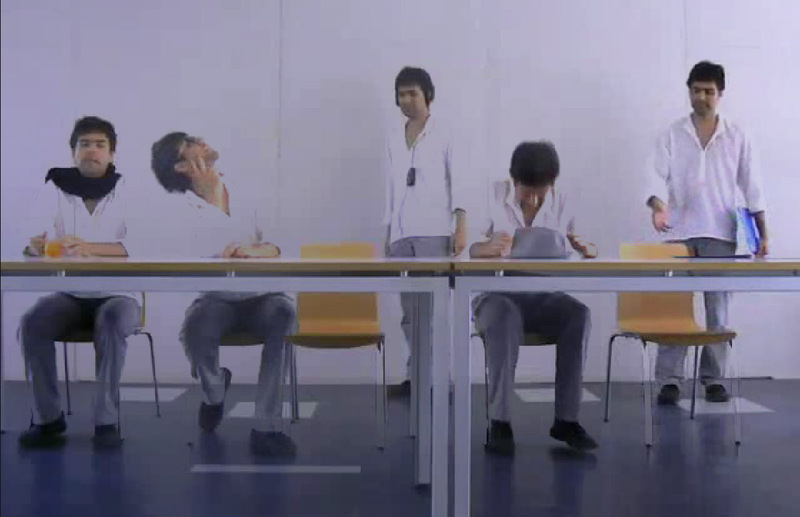 By contrast with a calm song the narrative will move smoothly. 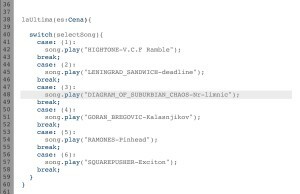 Through the analysis of the audio frequencies, the actions of each character is being discontinued, broke and discontinued. 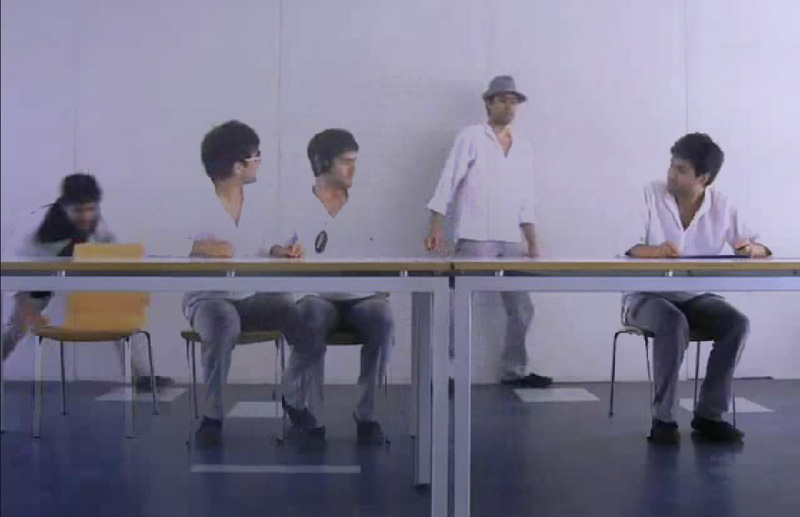 The analysis sound spectrum is divided into 512 frequency bands. 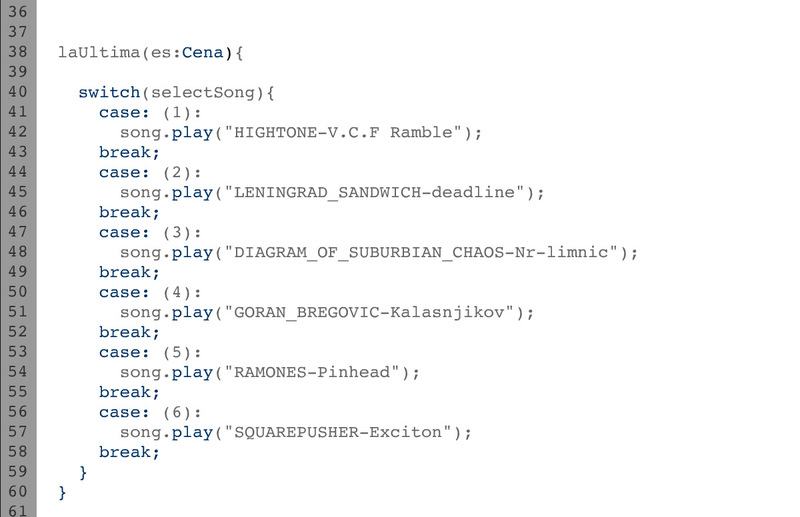 These 512 bands are subdivided into 5 groups and accommodated in arrays. 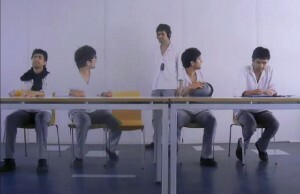 Each of these arrays belongs to a character. So the bands from 0 to 100 belong to the first character, the 100 to 200 per second, and so on.For each new frame is made the accumulation of the 100 bands in each group. This total is normalized and mapped to a time proportional within each scene of the song. 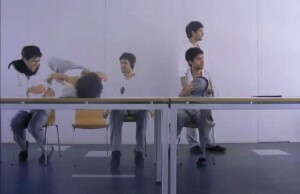 As the song progresses, the scenes and the actions of each one also progresses until the sound ends and the characters removed from the scene. 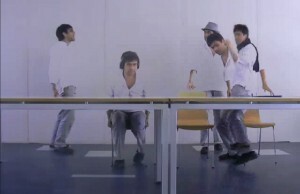 You may watch the example video.